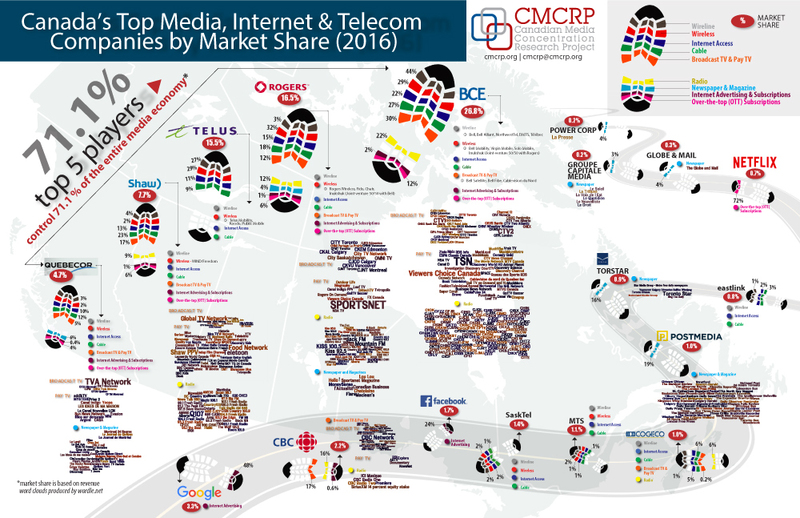 The poster depicts the eighteen largest telecoms, media and internet companies in Canada on the basis of their revenues in 2015. Together they account for nearly 90% of all revenues across the telecoms, media and internet industries. However, just the “Big 5” — Bell, Rogers, Telus, Shaw and Quebecor, in that order — account for nearly three-quarters (71.1%) of all revenues.